NetApp and Aptec Ingram Micro launch Expresspod in the Middle East. 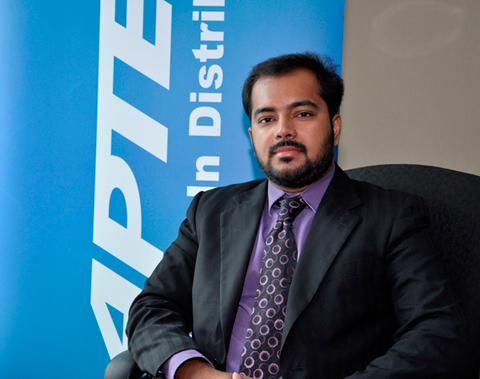 Dubai, UAE, 06th December 2012 – ICT solutions Value-Added Distributor Aptec, an Ingram Micro company, announced yesterday the launch of NetApp’s Expresspod SMB Virtualization solution in the Middle East. ExpressPod is NetApp and Cisco's new prepackaged solution, which combines computing, networking, storage, and management products into a solution architected for streamlined deployment. ExpressPod integrates Cisco UCS C-Series servers, NetApp FAS2220 or FAS2240 storage, and Cisco Nexus 3048 switches with infrastructure management to support an open ecosystem of management and hypervisor solutions. Expresspod is a miniature version of the successful Flexpod model. It is targeted exclusively at mid-sized businesses that are budget-conscious and have limited IT resources. Flexpod celebrated its second anniversary recently and has been adopted by more than 1300 organizations in 35 countries that have accelerated their transition to the cloud using the product. "After having a successful run globally, with Flexpod being adopted by the enterprise and mid-sized enterprise customers, now NetApp and Cisco have launched Expresspod to replicate the same success in the fast growing MSB segment," said Govind Haridas, business unit manager, Security & Storage at Aptec. "It is a validated design and a viable alternative for the customers who want to enjoy enterprise-class performance with limited IT budgets." Critical to the success of FlexPod and ExpressPod customers are the more than 660 certified FlexPod Partners, including 33 Premium Partners in EMEA and the Americas, who help deploy the infrastructure. In addition to a wide range of sales, and marketing resources designed to help partners grow their businesses and accelerate customer success, Cisco and NetApp offer a Plan, Design and Implement Help Desk that allows partners to collaborate with NetApp and Cisco on solving real-world implementation challenges. Clear deployment guidance and training, coupled with support, marketing, and demand-generation resources from Cisco and NetApp, provide the tools to help partners build and extend infrastructure solution practices to IT departments globally. Aptec is the only VAD in the region that distributes NetApp, Cisco and VMware. The company has launched extensive marketing campaigns to promote Expresspod and is also driving initiatives to enable channel partners to support the various customer engagements, according to Haridas. ExpressPod implementation guides are already available to partners beginning December 2012 through VADs. Aptec – an Ingram Micro Company (www.apteconline.com) is the Middle East, Africa, Near East and Turkey’s largest technology Value-Added distributor and a leading technology sales, marketing and logistics company. Established in 1980, Aptec is the oldest distributor in the region. As a vital link in the technology value chain, Aptec creates sales and profitability opportunities for vendors and resellers through unique marketing programs, outsourced logistics services, technical support, financial services and product aggregation and distribution. The company provides a wide range of solutions and services to more than 10,000 resellers and offers thousands of products from leading ICT manufacturers. From its offices and warehouses in 7 countries and with more than 370 specialized staff, Aptec serves over 70 countries in the region.